Finding a cure for insomnia depends on which type of the condition needs treatment. Secondary insomnia can benefit from the doctor prescribing medication. If your insomnia is caused by sleep apnea, then getting that diagnosis and following the health care treatments can restore you back to restful nights. For insomnia that’s caused by diabetes, bringing glucose levels as close to normal as possible can make you sleep throughout the night again. But for the kind of insomnia that’s the primary type, treatment other than medication needs to be sought. 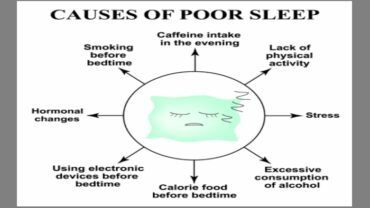 Once you’ve been checked out by a doctor and told that your sleeplessness is not medically related, there are changes you can make in your life to stop the cycle from continuing. You would start first with habit changes. If you go to bed even when you’re not tired simply because it’s time for bed, your first step would be to stop and instead only go to bed when you’re tired enough to fall asleep. Forcing your body to conform only results in you feeling anxious when you don’t get to sleep and that anxiety can affect your body making sleep more difficult to attain. Sometimes staying up much later than you normally would can make you more tired and because of the controlled lack of sleep, you’ll find it easier to fall asleep on the nights following. Just make sure that when you stay up later, you don’t do anything that stimulates your mind. Don’t watch an edge of your seat action movie that will pump up your adrenaline and don’t do any activity that will cause you to worry. Don’t pay the bills, don’t deal with any stressful correspondence, etc. Feeling worried about not being able to sleep can actually cause you not to be able to sleep. What you think in your mind you can bring to pass in your body just because you’ve stressed about it. Behavioral therapy can help you break that cycle and get back to a good night’s sleep. If you’ve gone through an experience that left you traumatized, then seeking therapy for treatment can help restore balance to your life, help you deal with the stress the trauma caused, and bring sleepiness back to your bedtime. 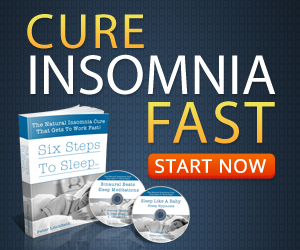 One step you can take at home as a cure for insomnia is to limit your caffeine intake. Caffeine is a stimulant and works to keep you awake by speeding up your heart rate and making you more alert. It affects the part of your body that gives you that ‘fight or flight’ feeling. What if Nothing Seems to Work? If you’ve tried everything and nothing seems to help, there are sleep aids you can take to help your body get the rest it needs – but be careful that you don’t start to depend on them long term, because your body can become adjusted to the sleep aid.